In the last few years, Adobe© has been rolling out some new pieces of software aimed towards digital photographers and designers alike. One of Adobe©’s newest pieces of software is targeted towards professional photographers, and is called Adobe Photoshop Lightroom (or just Adobe Lightroom to most). When Lightroom first hit the market, those of us schooled in Photoshop since Version 3 looked upon the newcomer as a mismatch of features we already used. We wondered who would want to use something that didn’t have all the “power” of Photoshop. Lightroom offers not just the ability to sort and perform “global adjustments” on digital photos, but also offers many “local” corrections. What does that mean, in plain English? It means less time spent editing your photos and more time away from the computer. So what is Lightroom? It is a type of organizational software where you view your images for editing and sorting. 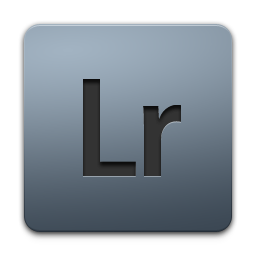 Lightroom’s interface uses a nondestructive editing process built on the RAW processor used by Photoshop. What this means is you can do a multitude of color and tone adjustments to an image without affecting a single pixel. These adjustments are stored as a small binary file with the image called a “sidecar,” or XMP file. You can always go back to the original image anytime during the editing process. And just because it is a RAW processor doesn’t mean you can’t adjust other types of images. 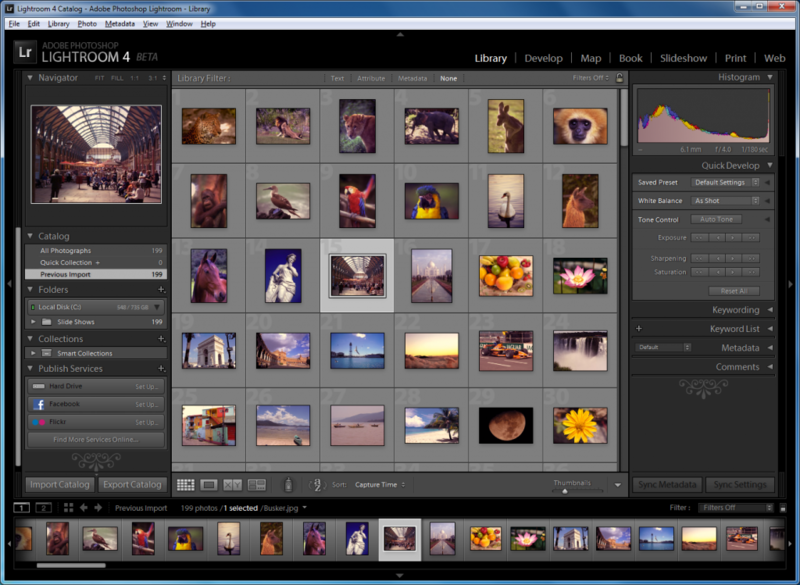 Lightroom also can process JPEG and Tiff files using the same sliders and features that it uses for RAW files. When you open Lightroom, a dialog will pop up asking you for you the location of your image files. 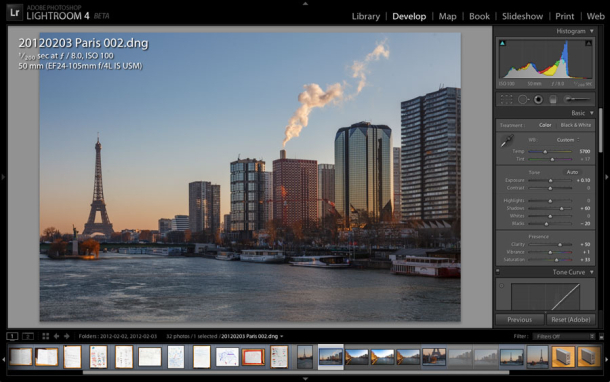 From there, Lightroom will create a “catalog” of these images (shown in the image below). A catalog is different than just a file viewer – a catalog references where the image is and lets you group the images into even more catalogs. For example: let’s say that you were in a large national park and you shot a ton of images of mountains, trees, streams, wildlife, and your family having a cookout. In the past, you could copy these images onto a folder on your computer. Then you could either name each file according to its subject matter or put them into different folders for trees, mountains, wildlife, water, and family. When you “import as” in Lightroom, you can rename your photos as something that makes sense, like “Nationalpark2012” (by this I mean the name of the park and year) and even put extra information (copyright, name, contact info, etc.) in the “Metadata” section of the image file. Once you’re in the “Library” section of Lightroom you can separate the images into categories that make sense. You can set up categories like Parks, Mountains, Trees, Animals and Family, and under these you can even set up sub-categories like Deer, Rabbits, or whatever your heart desires. Just select the images and click/drag them into these categories. When you click on these categories you will then see only the images that you tagged with that category. You can always go back to the larger groups of images, plus you can add keywords to the images to make searching for images even easier. In the latest version of Lightroom you can even use GPS locations or tag them from a Google Map to make it even easier to locate that scenic spot. Lightroom also helps you make finely toned black and white images. And it doesn’t stop there. Using the Adjustment brush you can go in and adjust all of the above parameters right on the image, much in the same way you would have done in Photoshop. An example of the color adjustment screen is shown below. If you have a group of images that all need the same adjustment – a slight decrease in color saturation, for example – global adjustments can save you a ton of time. These adjustments can be done to multiple photos at the same time. Furthermore, you can export an image to Photoshop© or Photoshop Elements© at any time for fine-tuning or to use some of the more powerful tools that these programs offer, like Selections or Layers. Lightroom also lets you export images out for printing or sharing in social media sites like Facebook or Flicker. This is done with another powerful feature called Presets. Just one click and you are done! If you are looking for a new set of tools for your images, consider Lightroom. It’s priced more reasonably than Photoshop and offers a wide variety of tools for the amateur to professional photographer. And don’t forget that any powerful program comes a steep learning curve – you’re not alone in asking for the help you need. Take a look at Digital Workshop Center’s new Adobe Lightroom courses, starting in November 2012!